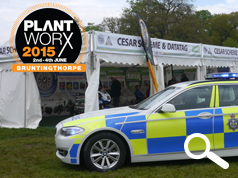 Datatag ID Limited will be exhibiting for the second time at Plantworx 2015 with the official CESAR security Scheme. Plantworx 2015 will take place at its new home of Bruntingthorpe in Leicestershire. The inaugural show launched in 2013 at Stoneleigh Park, is supported by major trade associations. The event provides exhibits from specialist plant, tool and services to support the wider construction industry. Plantworx is a CEA (Construction Equipment Association) event organised by the industry, for the industry. The event is the UK’s only biennial construction show with a plant demonstration zone. 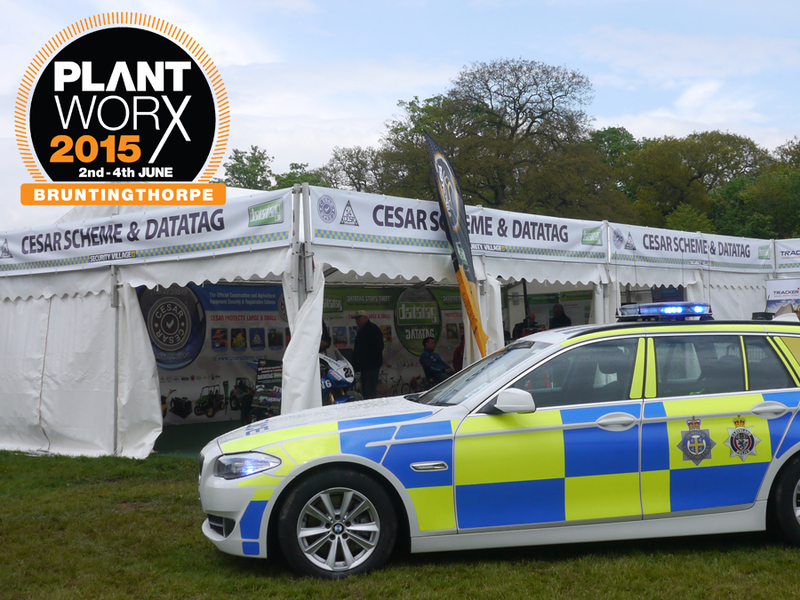 The CEA are major supporters and promoters of the Datatag powered security system CESAR and Plantworx will again host its own security village where CESAR will be an exhibit. CESAR has had an incredible success story since the launch in November 2007, at JCB world headquarters where the first CESAR marked machine came of the production line. Since the launch CESAR now also marks agricultural equipment and there are now over 160,000 pieces of equipment registered and protected by the security marking system. At the annual CEA conference hosted in September this year in London, delegates saw the Metropolitan police’s head of gangs and organised crime Commander Neil Basu highlight what had been achieved to combat this type of crime. Before CESAR machinery theft was averaging £1.5m per week, with other related costs running at many millions more. With the launch of CESAR this type of crime has been reduced by 46% and increased the recovery rate of stolen machinery by a factor of 6. This has also resulted in reduced insurance premiums with leading insurance companies backing the security initiative. After the success of the first Plantworx, which was held in May 2013 at Stoneleigh Park and saw more than 11,000 visitors to the show, Datatag MD Kevin Howells took the decision to be a part of the action again.